Cape Town’s humans are eagerly seeking new, reliable water sources, but what of its animals? 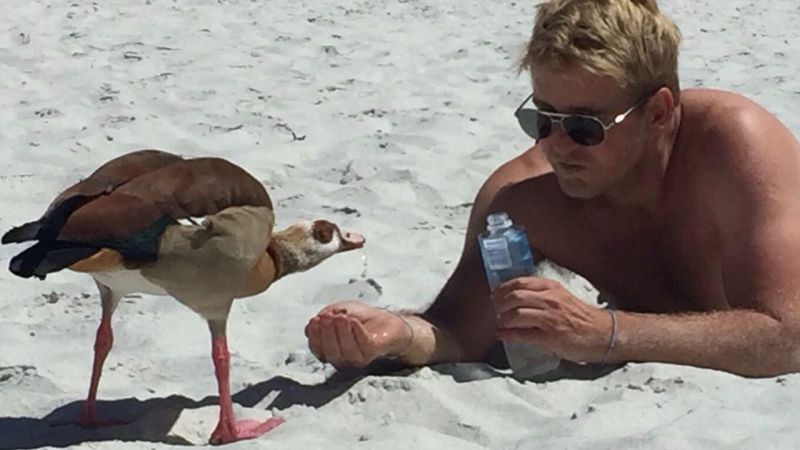 A video published to Facebook this week tells a rather adorable story of how an Egyptian goose found water… from the hand of a Clifton beachgoer. Published on Joel Graham’s page, the clip isn’t very long, but does show him cupping his hand, throwing water from a bottle into it, and allowing the goose to drink from the makeshift bowl. “An Egyptian Goose landed on Clifton beach. We calmly approached each other. I offered water for her to drink. She drank then she flew off,” he wrote. The clip has already amassed some 360 000 views on the social network, with 7000 shares and more than 300 comments. “We should all put a bowl of water out for the wild animals,” Graham concludes. Watch the heartwarming clip below.